As you can see, the Master Precise is one thin point that's extremely easy to use for a singular line. The Master Graphic is a nice slanted point, which means you can create thin and thick lines with one pen. Just out of comfort, I still find the Master Precise liner to be easier to use. I find that the Master Graphic takes a little bit of getting used to - practice makes perfect. Once you get used to it, for a nice thick cat eye flick, this is definitely a lot easier to use than the Master Precise. The two lines on the left are using the Master Graphic. First is the thinnest I could go, and the second is the thickest I could go. As you can see by the comparison, the thin line is a lot thicker than the Master Precise; making it better for a thick eyeliner look. Master Precise can get extremely thin, making it the perfect liquid liner to use for a thin line along the lash line, or for tight lining. So, which do I prefer? After using both of them fairly extensively, I really enjoy using both liners for different reasons. While the Master Graphic can be used for thin lines as well, I much prefer using this for thicker lines. 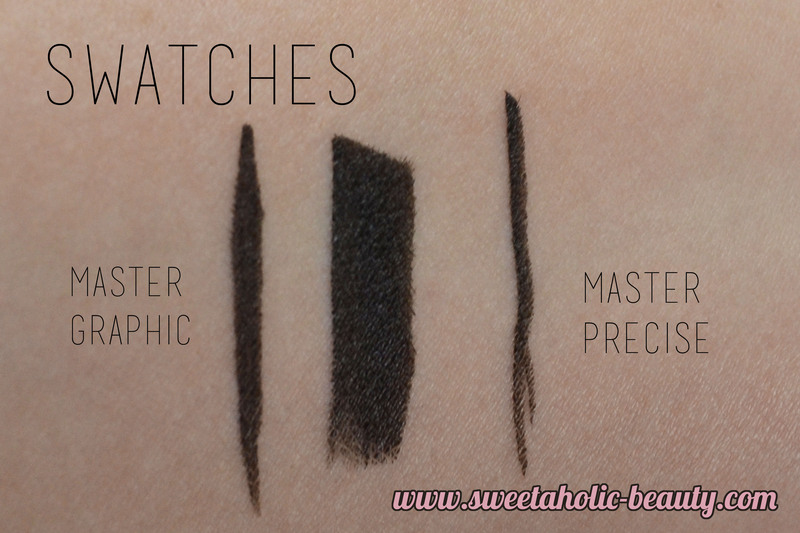 Master Graphic is excellent for the cat eye flick and has made life a lot easier when it comes to different eye looks. But for nice thin lines, I'll continue to use the Master Precise. 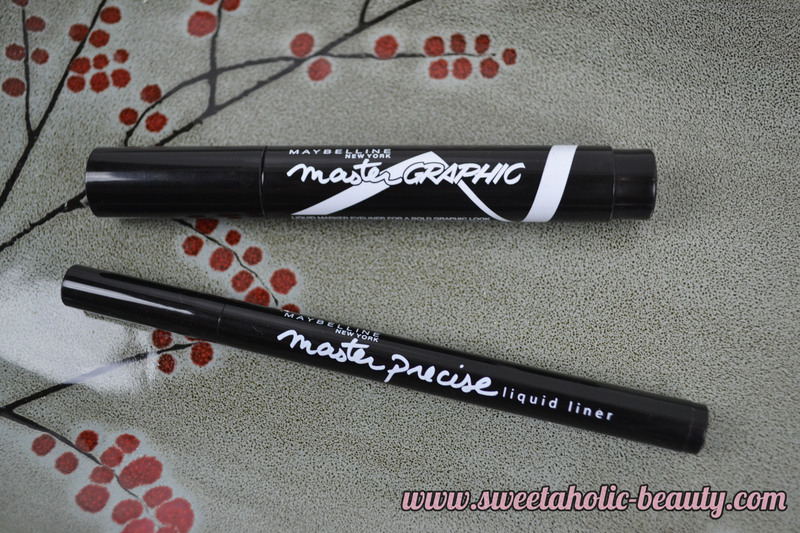 Have you tried the Maybelline Master Precise and Master Graphic? If so, what are your thoughts? 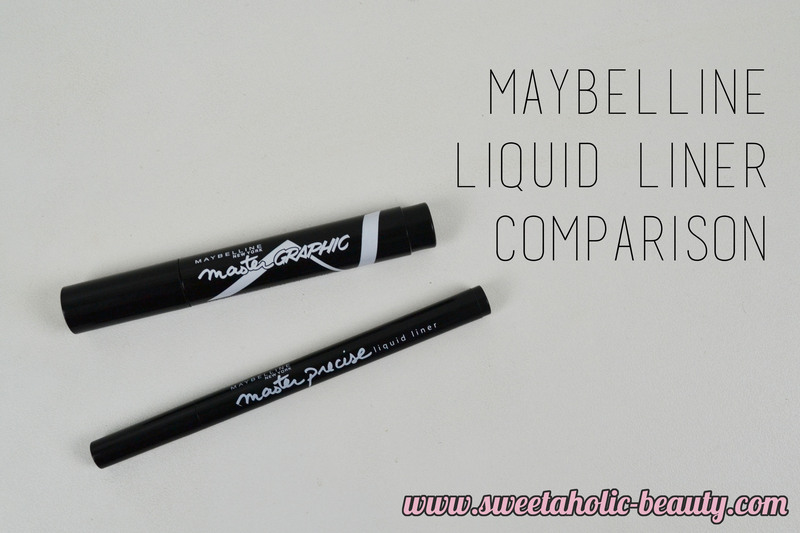 Which liquid liner pen do you prefer? Oh!! 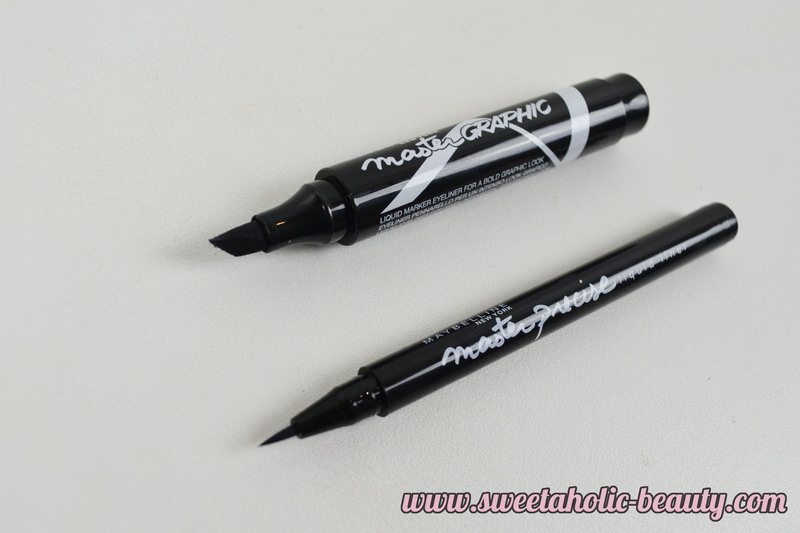 I've been tempted to try this liner after I saw it at Priceline! I've tried a shorter version from Rimmel in the slanted tip but it got really messy for me. I really enjoy the Master Precise though. I'm going to repurchase the Master Precise because mine has dried out, but I think I need to pick up the Master Graphic as well. Good thing Priceline has 40% off right now!